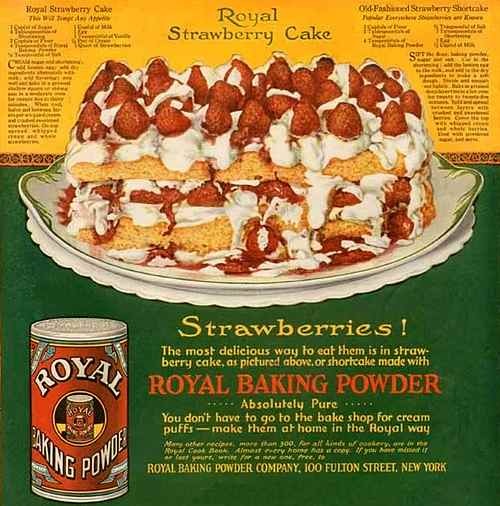 Mom's favorite strawberry cake recipes make wonderful dessert cakes chock full of old fashioned good taste. 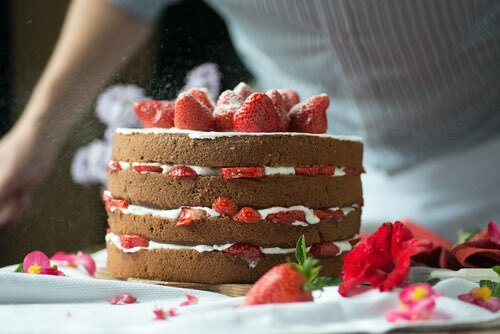 There's nothing like the fresh taste of strawberries and when you encase them in a beautiful, flavorful, moist homemade cake you have one of the best desserts. 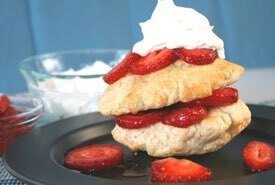 Fresh strawberries are preferred in shortcake recipes, but frozen and canned berries can be used in a pinch. Simply enjoy the wonderful taste. Raspberries, blueberries, blackberries, or huckleberries can be used in place of strawberries, if desired. Sift flour once, measure, add baking powder, and sift together three times. 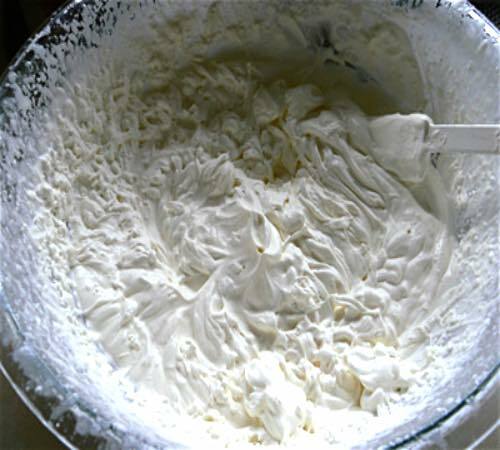 Cream butter, add 1 cup sugar gradually, and cream together until light and fluffy. Add egg yolks, then sifted flour, alternately with 3/4 cup milk, a small amount at a time. Beat after each addition until batter is smooth. Add vanilla. Bake in two greased 9-inch layer pans in moderate oven (375°F) 25 minutes. Remove from pans and cool. Fold 1/2 cup sugar slowly into 4 stiffly beaten egg whites. Place two layers on baking sheet. Pile meringue lightly on them and return to moderate oven (350°F) to brown (about 15 minutes). Wash and hull berries. Reserve a few choice ones for garnishing. Crush remainder of berries with 1/2 cup sugar. Spread between layers. Assemble top layer on bottom layer. Garnish top with whole berries. Serve at once. Serves 8. The traditional black forest cake recipe calls for cherries, but for a mouthwatering change why not make your forest cake with strawberries instead? Homemade chocolate cake, fresh strawberries, and whipped cream were made to go together! 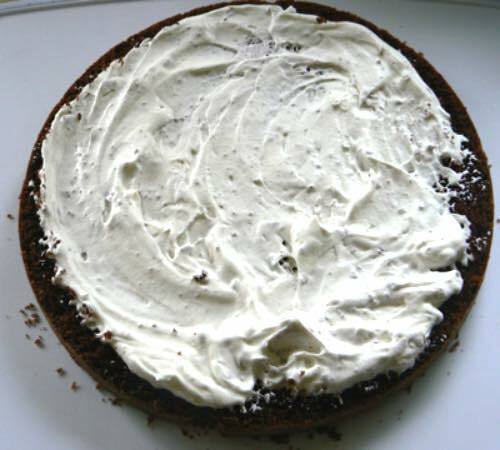 Bake your favorite chocolate cake according to recipe directions, then let it cool completely. 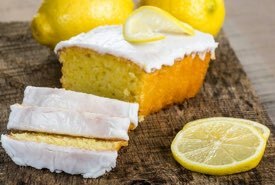 Slice the cake into 2 or 3 thin layers, using a knife or a cake leveler, or you can use a thread as Grandma used to do by taking a long thread, wrapping it evenly around the cake, and pulling the ends around the opposite way, thereby slicing through the cake. You will need 3 cups of whipped cream for the filling. Consider using stabilized whipped cream for the filling, since stabilizing it makes the whipped cream easier to decorate with, and it holds its shape longer. 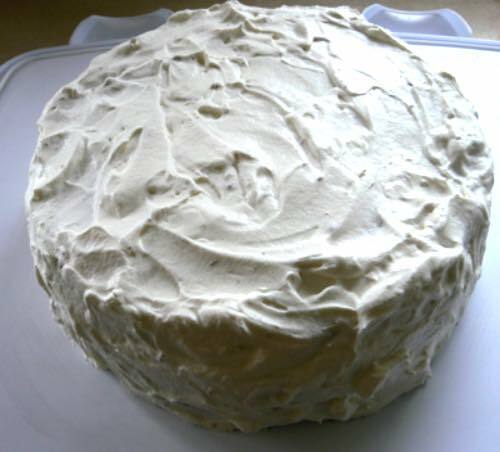 Cover the bottom layer of your cake with the whipped cream. Then top the whipped cream with the strawberry cake filling. Repeat the above for the other layers of your cake. Once all your layers are added, ice the cake completely with whipped cream. Using a spatula, ice the top of the cake and then work on the sides. The whipped cream on the cake below was given a textured look, instead of a smooth one. Ice to your own preference. Flavor some of the remaining whipped cream with cocoa powder (optional) and make a border along the bottom of the cake, and add some dollops evenly spaced around the top, then top the dollops with a ripe red strawberry. 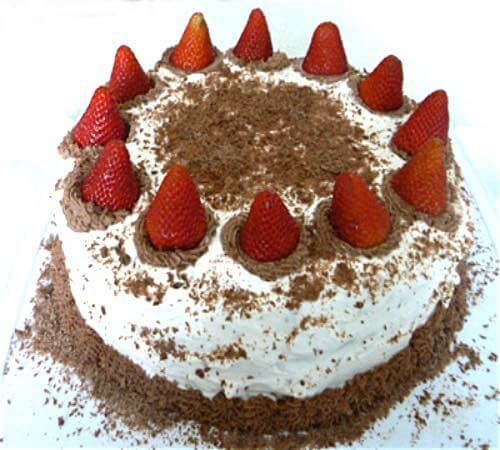 To finish off this unique strawberry cake recipe, sprinkle shaved chocolate over the cake top to decorate. Here's a fresh strawberry filling that you can use for both cakes and pies, and it's very easy to make. It's the perfect filling for multi-layered strawberry cake recipes. You just need some strawberries, sugar, cornstarch, and water. 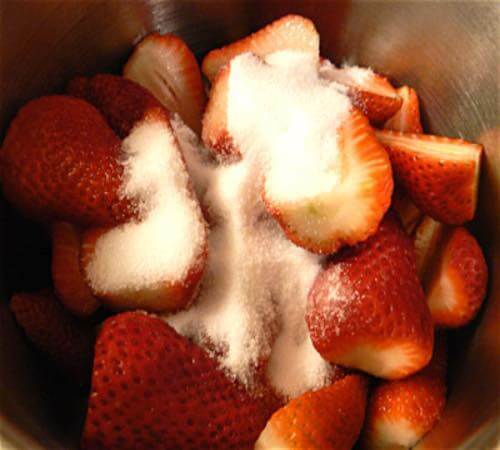 Begin by washing and slicing the strawberries in half, then dump them in a saucepan and add the sugar. 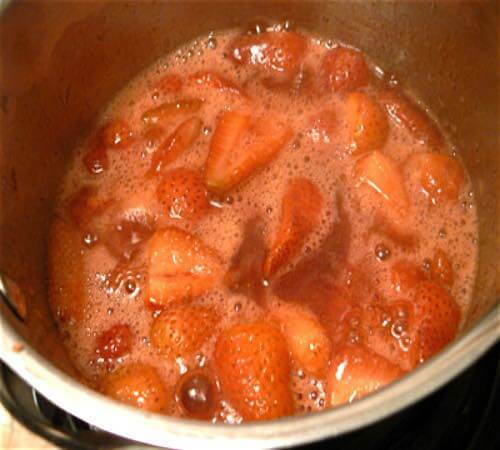 Bring the strawberry-sugar mixture to a boil, then lower the temperature and continue boiling until the strawberries are softened. In a small bowl, mix the cornstarch with the water until it's smooth, then stir into the strawberry mixture and boil for about one minute. Allow the filling to cool before using. Simple to make and delicious! 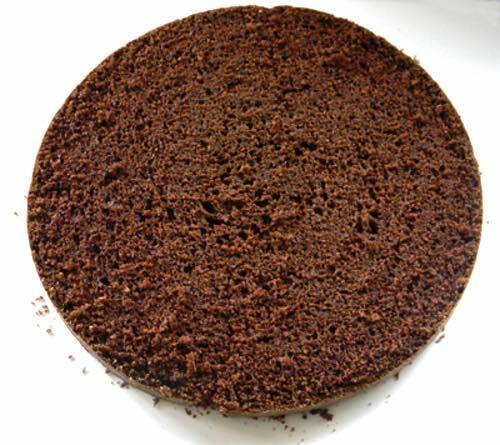 Grease a 9x9-inch cake pan. To make topping combine the 4 ingredients and set aside. Sift together flour, baking powder, and sugar. Beat eggs well and add milk and melted butter. Make a well in dry ingredients and add liquid all at once. Mix lightly until combined. Turn batter into prepared pan, spread evenly. Top with sliced berries. Sprinkle with topping and bake about 1 hour. Cut into squares when slightly cooled and enjoy. This cake is nicely served warm or cold, with or without vanilla ice cream. Cream butter and sugar. Add beaten eggs, then strawberry fruit and juice. Sift soda with flour and add last. Suggest a strawberry icing. Raspberries or cherries may be used instead of strawberries. This strawberry dessert cake will tempt any appetite! Cream sugar and shortening; add beaten egg; add sifted dry ingredients alternately with milk; add flavoring; mix well and bake in a greased shallow square or oblong pan in a moderate oven for twenty-five to thirty minutes. When cool, halve and between layers put whipped cream and crushed sweetened strawberries. On top spread whipped cream and whole strawberries. If you are craving a fresh strawberry layer cake, this homemade cake recipe is the one you want. It makes a rich, four-layer cake that was always a favorite when served at White House dinners. 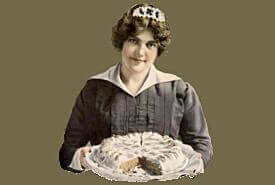 Three eggs, one cupful of sugar, two of flour, one tablespoonful of butter, a teaspoonful, heaped, of baking powder. Beat the butter and sugar together and add the eggs well beaten. Stir in the flour and baking powder well sifted together. Bake in deep tin plate. This quantity will fill four plates. With three pints of strawberries mix a cupful of sugar and mash them a little. Spread the fruit between the layers of cake. The top layer of strawberries may be covered with a meringue made with the white of an egg and a tablespoonful of powdered sugar. Save out the largest berries and arrange them around in circles on the top in the white frosting. Makes a very fancy dish, as well as a most delicious cake. Okay, okay — this is NOT a strawberry cake recipe, but it's the next best thing. When eaten outdoors on a summer's day these dainty strawberry rolls will taste almost as good as cake, and they're better than cucumber sandwiches. Imagine the novelty of serving strawberry sandwich rolls — the perfect summertime treat! Mom made them to take on a family outing once, and I will never forget it. They made the occasion. It's the perfect picnic sandwich recipe! You have to try this! Wash and hull 2 boxes of strawberries, drain and slice them, spread on a platter, sprinkle over them a very little lemon juice and 6 tablespoonfuls powdered sugar. Remove crusts from a dozen thin slices of white bread; spread melted butter, then the berries, roll and tie with baby ribbon at each end. Wring a napkin from cold water, pack the rolls in it, and then fold in a dry napkin for carrying. The main ingredient in these delicious dessert cakes is the strawberry. This delicious red berry is well known in most parts of the world, particularly in Europe and throughout North America. Few other fruits can compare with strawberries for flavor; they have been popular with cooks for centuries. These vintage cakes remind us of an earlier era when families either grew their own strawberries or picked the ones growing wild. 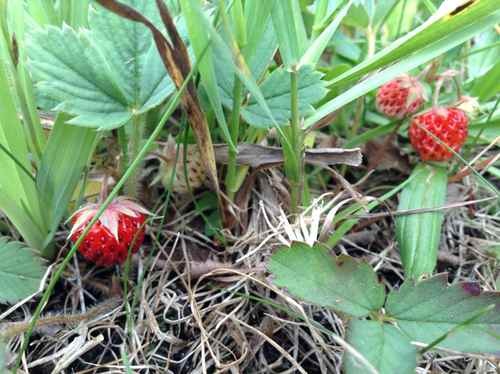 I can recall Mom telling me that she and her siblings helped Grandma pick pints of wild strawberries as soon as they ripened in the pasture. The cows would enjoy eating them if you didn't hurry and harvest them first. Nowadays, we visit a pick-your-own strawberry farm, or we buy a box of the delicious fruit at the local farmer's market. 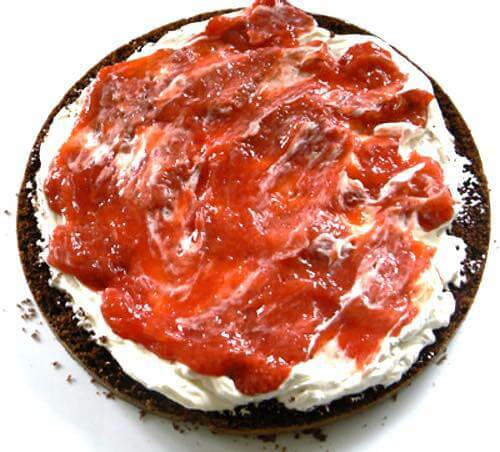 Strawberry cakes really aren't that difficult to make, and the flavor of strawberry brightens any occasion. You simply must try baking with strawberries when they're in season. Strawberries taste best when you can pick them fresh. But, if fresh berries are unavailable, you can use frozen or canned berries, and your cake will turn out fine. And even strawberry jam may be used in a pinch. So, you really have no excuse not to bake a cake! 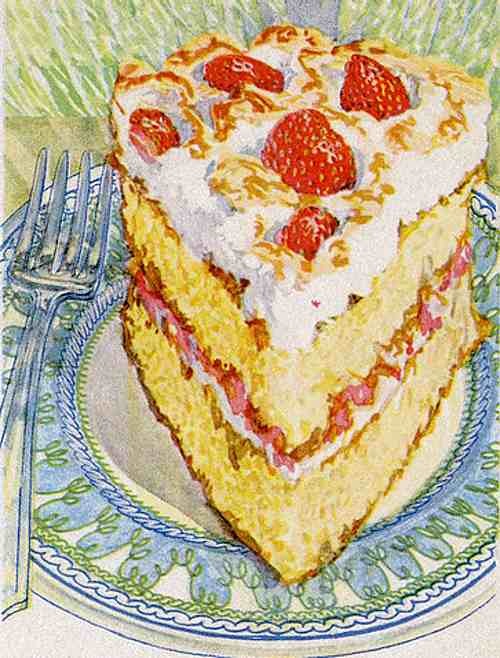 I was thrilled to come across your website while searching for a fresh Strawberry Cake Recipe this morning. Many of the recipes that I once used came from cookbooks that sadly I had to leave behind when I moved overseas with my husband. Thanks for offering them over the internet. I love reading the history behind many of the recipes.